Are you one of the 3 million carers in the UK who juggle their caring role with a paid job? Or maybe you're thinking of leaving work as your caring responsibilities increase? Or perhaps you are looking to get back into work now things are more settled? Whatever your employment situation, our blog looks at some of the things that you might want to think about. It's estimated that 1 in 9 of the workforce in Derbyshire and Nottinghamshire has unpaid caring responsibilities. Continuing to work alongside caring can be good for you. It can help with your self-esteem and gives you an opportunities to interact with people. If you get on well with colleagues, going to work can even be fun. It's also a statutory right to be able to take time off work to deal with an emergency involving a dependent. This includes someone who depends on you for care. The amount of time you are able to take is described as 'reasonable amount of time' - usually one or two days but it depends on your employer. Some employers pay employees for emergency leave while others don't. Contractual rights - Depending on where you work, you may also have ‘contractual rights’. It is always worth checking your contract of employment, staff handbook, HR policies or letter of appointment to see if you have any contractual rights on top of your statutory rights. Many larger employers offer staff extra rights and benefits as a way of minimising staff turnover and keeping valued employees. You can find out more on both the Carers UK and Carers Trust websites. Or you can help from your local Citizen’s Advice bureau. It’s up to you whether you tell your employer that you’re a carer or not. If you want to request flexible working or think you may have ask for time off in an emergency, it may be worth explaining your situation so your employer knows that someone depends on you. Before you speak to your employer, make sure you are clear on your statutory and contractual rights. Don’t be worried about telling your employer or asking or flexible working. It’s your right to ask and the worst they can say is ‘no’! Most employers will only say no for genuine reasons. If you’re nervous, take a friend or colleague with you. Carers Trust have lots of practical advice on how to approach talking to your employer. If your colleagues don’t already know you’re a carer, you may find it would benefit you to tell them so they understand your responsibilities outside work. If you have a particular colleague/s who you get on well with and trust, it may help to talk to them as they may be able to offer support, even if they just lend you a sympathetic ear once in a while. It may be that your colleagues are carers themselves (or have been in the past) so understand your sitation. They may even be able to provide helpful advice. Remember – 3 in 5 of us will be a carer at some point in our lives. One in five carers give up employment to care and sometimes it can't be avoided. However, before you make the decision to leave it’s important to think about what impact it will have on your income, pension entitlement and quality of life. It’s important you explore all the options and weigh up the pros, cons and possibilities. Could you instead ask to work less hours? Could you request unpaid leave for a few months until things are better? Could the person you care for be eligible for social care support so you could continue to work? Have they had an assessment of their needs? Could you/the person you support pay for care privately? Have you checked out what benefits you would be entitled to? If you are unable to work less hours in your current role, could you find a different job that is more flexible? See information about the Timewise website below. The Derbyshire Welfare Rights helpline can help you understand the benefits system and what you’d be entitled to, tel: 01629 531535. Citizens Advice can also help. If you’ve weighed up the pros and cons and believe that leaving work would be for the best, it‘s worth preparing yourself for the change. You may find you miss the social interaction and break from caring that work gives. Try to prepare yourself for this so you don’t feel isolated - you could arrange to join carer support groups, do activities with the person you look after and keep in touch with friends and ex-colleagues you are close to. There are also online forums and groups for carers that you can join if getting out and about is a struggle. Maybe things have changed in your caring role and now you’re looking at going back to work? It can be a daunting prospect but you’ll have lots of skills from your caring role that can cross into the work place. Do you want to go back to a job you did previously or try something new? Or maybe it’s your first time entering the world of work? The free Moving on From Caring learning programme has been designed especially for carers and parents and is being managed by Derbyshire County Council's Adult Education department. You'll get lots of support and can choose between a range of subjects includings maths, English, IT, First Aid, food safety and more. The programme can lead to work experience, further education or paid work. You'll get support from a tutor and can borrow a laptop if you need one. There is even a bursary fund available to support you and help cover your caring responsibilities if needed. The National Careers Service website has lots of information about getting a job including a 'skills health check' tool. You can also speak to one of their advisors on the phone or through web chat. Both Carers UK and Carers Trust have great online information for carers who want to go back to work. The Timewise Website is a one-stop shop for support, advice and flexible job opportunities to help carers balance their responsibilities with fulfilling careers. You can search for jobs in your area that offer part time and flexible working - you can even search for jobs by their level of flexibility. The website is fairly new and is just starting to take off. It's hoped more employers will use the website to advertise flexible jobs over the coming months. 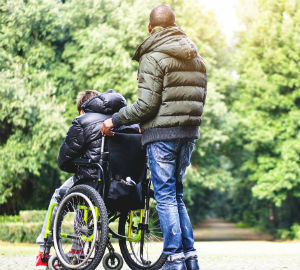 Derbyshire Carers Association have teamed up with The University of Derby, Learn Direct and the Chamber of Commerce and other major employers to help small and medium enterprises better support their staff who are also unpaid carers outside the work place. It is hoped 'Supporting Carers in Employment' will help valued, trained team members to continue in employment and achieve a realistic work/life balance. Employers will be invited to sign a pledge to show their commitment to carers within their service/business. “Where possible, carers should be encouraged to remain in work and encouraged to progress their careers. Employers should be encouraged to develop flexibility to ensure carers can care and still be valued in their workplace. “The majority of carers are of working age and the peak age for caring (50 – 64) often coincides with the peak of an individual’s career. One in five people in this age bracket are carers, including one in four women and one in six men”.